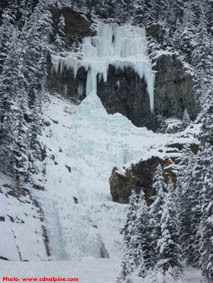 Louise Falls in difficult conditions. 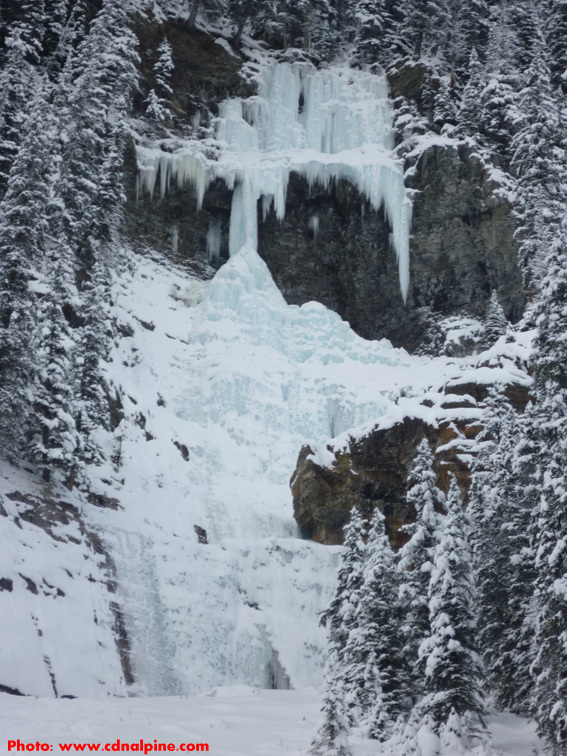 Approach: Park at the Lake Louise parking lots (the lake itself, not the town) and follow the big trail around the lake, or hike across the lake if it’s well frozen. The climb is obvious near the back of the lake, and is at the right edge of the popular rock climbing area known as “Back of the Lake”. Hike up a short snowslope to the base. 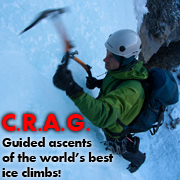 Route Description: Climb progressively harder pitches to the top. The final pitch can range from easy WI4 to WI5+ depending upon conditions and exact line chosen. Louise Falls in fat conditions. 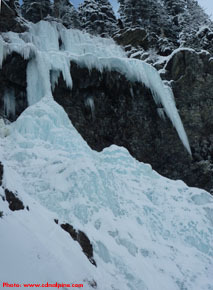 The upper pitches of Louise Falls in hard conditions. Descent: Most people walk off to the right and then drop down a narrow avalanche path to near the base of the route. 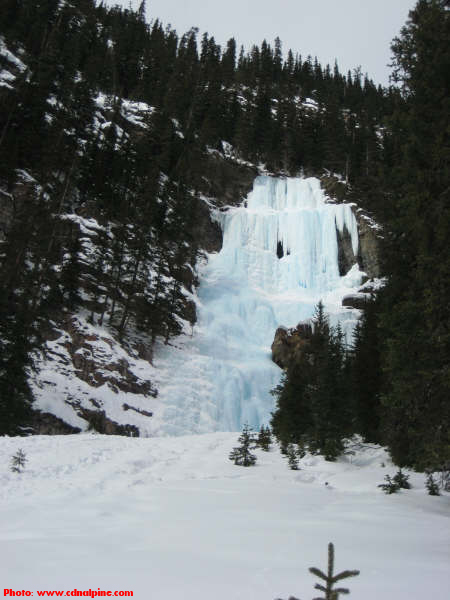 Objective Hazards: Potential avalanche hazard on the descent, and perhaps even the slope below the route in extreme conditions. There is often large dangling pillars high on the route that have been known to fall off and crash down the route from time to time.